This release comes with a matted slip cover. Inside is a redemption code for the Digital Copy. Audio Commentary features co-writer/director David Wain and co-writer/producer Michael Showalter who, being friends I assume, provide a lively track recounting how they came up with the story and the overall process of making it. 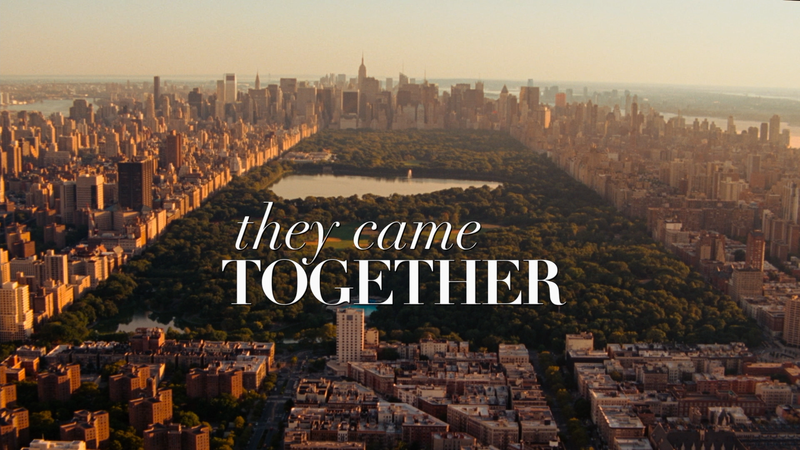 They All Came Together (23:59; HD) is a surprisingly lengthy featurette on the film’s origins, casting the movie and promotional interviews by the cast and crew. San Francisco Sketchfest Table Read (1:43:58; HD) has the main cast, at least some anyway, reading through the script at a little festival in San Fran. This feature is actually longer than the movie itself. 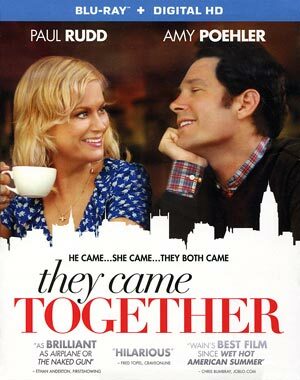 They Came Together comes together on Blu-ray presented with a 1.78 widescreen aspect ratio and a spiffy-looking 1080p high-definition transfer. The director obviously wanted to give the film a more romantic feel with warm, glowing colors to go along with good detail levels throughout and an all around clean transfer. Equally impressive is the 5.1 DTS-HD Master Audio track which provides for clean dialogue and the blissful score by Matt Novack and Craig Wedren helps give it some depth, though it is limited considering the genre. 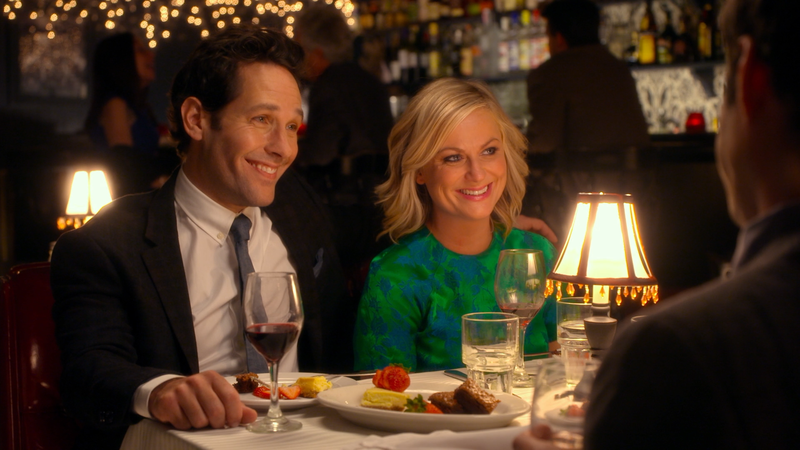 Overall, They Came Together might not quite come together, no pun intended (really) like the filmmakers wanted, and not close to Wet Hot American Summer, but there is a certain charm in its spoofing of the romantic comedy genre mainly due to the comedic timing of Paul Rudd and Amy Poehler. 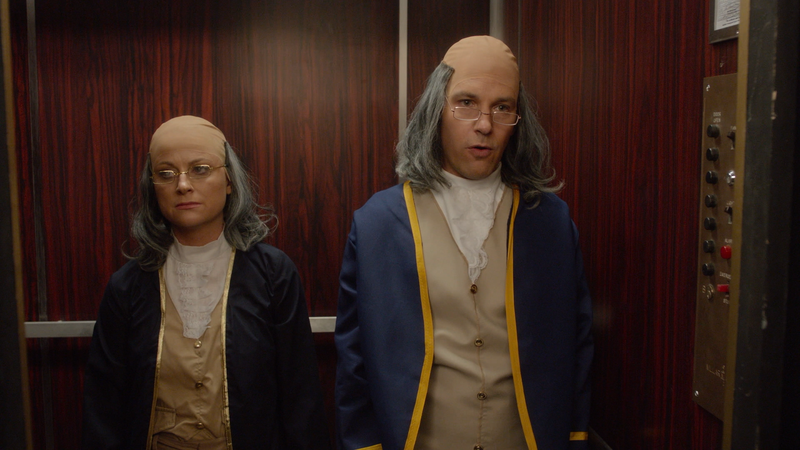 That said, it’s still not very good and might only be worth a rental. The Blu-ray at least has a fair amount of bonus material and the audio/video transfers were both good.